Sixty schoolchildren in Sutton-in-Ashfield have had the chance to build their confidence and team building skills in a pilot project run by a local education charity. 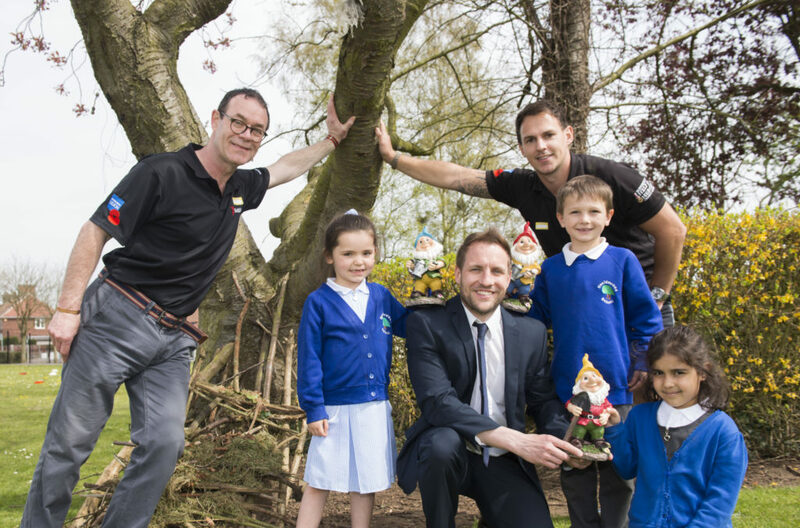 Sixty Year 1 children, aged five and six, from Healdswood Infants and Nursery School on Barker Avenue have designed a foot-high outdoor shelter fit for a gnome made possible by sponsorship funding for Woodheads. Constructed from sticks and branches in a forest within the school grounds, the children created and built the gnome home style shelter on May 6th. Thirty children from Hillocks Primary School on Unwin Road will also be set the same SkillForce team challenge, which is taking place in their school grounds on May 20th. The two primary schools are benefiting from a trial project organised by the Nottinghamshire-based education and veterans charity SkillForce and sponsored by local construction firm Robert Woodhead Limited both based in Edwinstowe at Edwinstowe House. SkillForce works with more than 200 primary and secondary schools across England, Scotland and Wales delivering character education programmes. The charity’s Royal Patron is HRH The Duke of Cambridge. SkillForce draws on the skills and experience of predominantly ex-Services personnel by recruiting them as instructors, and supporting their transition back in to civilian life. Instructors include military style activities and challenges in their work with schools to help children and young people develop cooperation, resilience, teamwork and problem solving skills. Visit http://www.skillforce.org. Robert Woodhead Limited, an award-winning construction company, based in Edwinstowe in Nottinghamshire, is sponsoring the pilot project as part of a series of charity events. Schools in Nottinghamshire wanting to find out more about SkillForce programmes can contact Ailsa Gough, Director of Learning and Operations, by emailing ailsa.gough@skillforce.org or calling 01623 827651. Pictured from left to right: SkillForce instructors Robert Ford and Alex Young with Year 1 pupils from Healdswood School and Matthew Bust, Business Support Manager at Robert Woodhead.